The search is on for boys with links to Beeston to apply for funded places at The Grammar School at Leeds (GSAL). The independent co-educational school has bursaries to cover seven years of senior school education for one or two boys who either live in the Beeston area, or attend primary school there. However, applications from the area are rare and the school is appealing for Beeston families and local primary schools to put forward candidates. All applicants will have to sit the school’s entrance examination in January and the financial award is means-tested, however full bursaries are available to those who meet all the criteria. Funding for the places was bequeathed to the former Leeds Grammar School in the will of a past pupil, Dr Raymond Harker, who died in 1996. He came from Beeston and attended the school from 1938 until 1944, before going on to study chemistry at Leeds University. 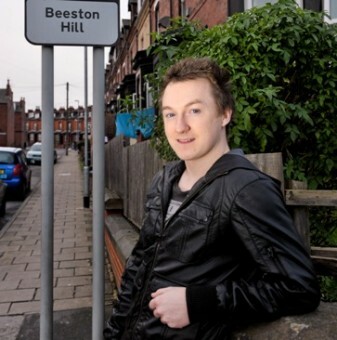 Under the terms of the bequest the recipient must be a boy who has connections with the Beeston area. So far there have been two Beeston scholars. Lee Wood attended the school from 2001 until 2008 and views his time at the school as one of opportunity and achievement. He said: “Really it was a huge privilege for me to attend the school. Everything about my time there was first class – the education, the teachers, the facilities and the chances to develop. Lee, who graduated in business management and marketing from Nottingham Trent University this year, was unaware that the bursary he received was only available to a boy from Beeston. The school is now writing to head teachers of primary schools in the Beeston area to encourage them to put forward candidates for its entrance examination on Friday, January 27, for entry to the school in September 2012. Anyone who is interested in applying should contact the school’s admissions manager, Alice Gibbons, on 0113 228 5121.